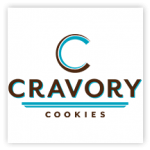 Cravory Cookies – Crafted from only the finest ingredients and gourmet flavor combinations, The Cravory has raised the bar on unique cookie recipes and traditional offerings by continually creating cookie flavors that are unexpected and totally delicious. 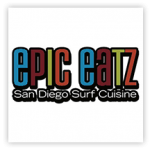 Epic Eatz – To live well, one must eat well. Our food services provide delicious, nutritious meals when and where you want them – daily meals in your home, a banquet in a hall, catered meetings in the office. We can tailor meals to accommodate food allergies, religious dietary laws, or lifestyle choices, and also create an eclectic menu for diverse tastes. We serve families, individuals, and organizations. Contact us today for more information. Our mission is to make it easier for you to always eat well! 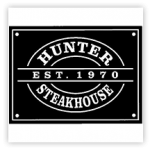 Hunter Steakhouse – Santa Maria-style bbq, pulled pork, burgers, veggie burgers, salads and more. 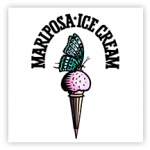 Mariposa Ice Cream – Homemade ice cream made with quality ingredients. No gimmicks, no need for expensive mix-ins, just good old-fashioned ice cream, served by the people who make it. Visit the San Diego location on Adams Avenue in Normal Heights! 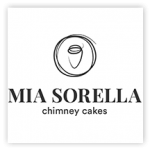 Mia Sorella Chimney Cakes – Two sisters, Vanessa (Savory Chef) and Veronica (Pastry Chef) food lovers, big travelers who fell in love with these Hungarian treats while walking the magical streets of Prague. We offer Sweet and Savory Chimney cakes & cones that can be paired with our very own Hot-chocolate-on-a-stick Belgium style or with a delicious pour-over coffee. 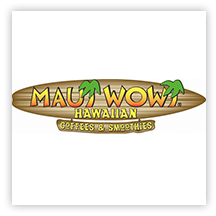 Maui Wowi – Hawaiian coffee and all-natural smoothies. All of our delicious fruit blends are 100% natural, with no artificial flavors, sweeteners or colors. Available in a variety of tropical flavors, our smoothies are low-fat, gluten-free and kosher-certified, which can be mixed together for endless tropical flavor delights. Matador Paella – Traditional Spanish Paella with California and Baja Flavors. 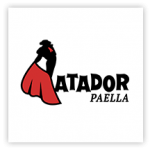 Matador Paella is dedicated to providing the highest quality and most amazing cuisine in an engaging, exciting, and dynamic way. Our paellas are made with authentic Bomba Rice, Saffron and Extra Virgin Olive Oil imported from Spain. Created with Matador’s signature sofrito base and served with delicious roasted garlic and lemon aioli to add depth, richness and spice. Original Herbivore – Bringing delicious, unique vegan food to San Diego county! Inspired by flavors from around the world creating an unforgettable vegan food experience! Tarantino Gourmet Sausage – The Tarantino Family has been making the finest sausages in the industry for five decades now. We honor the family tradition today by crafting our sausages fresh daily from the freshest and finest ingredients available. Our goal is to produce the finest quality sausages, while being the best value for you our customer.